We are a different kind of salon. 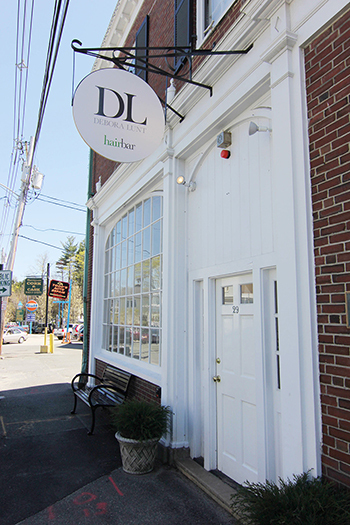 We like to think of DL Hairbar as more of a spa than a salon. We are a destination and a haven. From the heated towels and shampoo sinks, to the custom latte, to the dedicated consultation time, each appointment is designed to care for your needs and pamper your hair, body and soul. Modeled after the French “Salons” of the past, we are a place of ideas, conversation and introductions. At DL Hairbar, we introduce you to fellow clients in the salon and some of the most interesting conversations happen from our color chairs. We hope you’ll learn something new every time you come through our doors, maybe about the latest in books, restaurants, culture or hair trends—a few of our favorite topics or simply find a quiet place of zen. Our team is hand-selected by Master Stylist Debora Lunt and trained in techniques from Paris, New York City and Boston. We have an impeccable reputation for creativity and mastery of cut and color techniques. At DL Hairbar, you are in good hands. Let us care for you. Let us pamper you.Let us give you a respite from your busy day in our hectic world. Experience DL Hairbar, a different kind of salon.